A fresh inquest into the death of a Derry mother-of-six shot dead in her own garden over 40 years ago will take place in the city later this year. 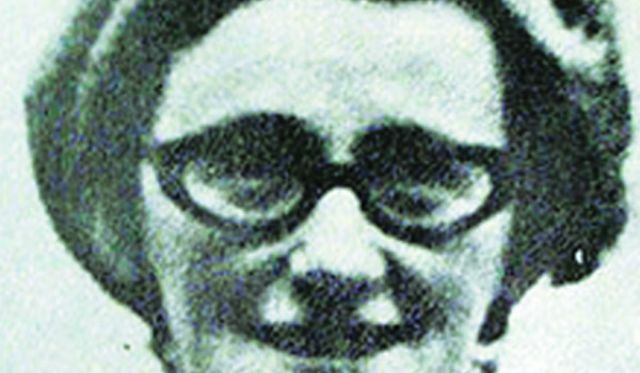 Kathleen Thompson was a killed at her Rathlin Drive home in Creggan home by a bullet fired by a British soldier on November 6, 1971. Shortly after midnight on that date, members of the Royal Green Jacket Regiment carried out a raid on a house in Rathlin Drive. During the raid, a soldier, identified only as Soldier ‘D’, admitted firing eight rounds from his high velocity SLR rifle while in the area, directing shots into the rear of 129 Rathlin Drive. Shortly after the raid Mrs Thompson, who was 47, was found dead in the rear in her home, killed by a high velocity bullet which had struck her in the chest. Neither Soldier ‘D’, nor any of the other soldiers who were with him at the time of the incident, were interviewed by the RUC after the shooting, which was instead delegated by the RUC to the Royal Military Police (RMP). A decision not to prosecute Soldier ‘D’ was then taken by the then Director of Public Prosecutions (DPP) on August 4, 1972. An inquest was held into Mrs Thompson’s death on November 2 1972 before Major Hubert O’Neill, Coroner, where an open verdict was returned. ‘Soldier D’ did not attend the inquest. In September 2004, Minty Thompson, a daughter of the deceased, challenged the decision not to prosecute Soldier ‘D’ in connection with her mother’s death, which was dismissed. On August 30, 2013, the Attorney General for Northern Ireland ordered the Coroner for Northern Ireland to hold a fresh inquest into Kathleen Thompson’s death. On Friday, a hearing took place before the High Court judge, Mr Justice Adrian Colton, who is the Presiding Judge of the Coroners Court and has been charged with case managing all of the north’s legacy inquests to get them ready for hearing. Despite the political impasse during the last Executive over securing funding to implement the Lord Chief Justice’s plan for dealing with outstanding legacy inquests, outlined in February 2016, Mrs Doherty’s Kathleen’s is one of three of the oldest legacy cases chosen to go ahead. At Friday’s hearing, Mr Justice Colton said that inquest into KT’s death ‘must be prioritised’ and has provisionally listed the inquest to last for two weeks in October or November this year and for it to be held in Derry. The soldier who fired the fatal shot will now be compelled to attend the inquest to give evidence and be cross-examined. Friday’s hearing was attended by three of Mrs Thompson’s children Minty, Billy and Ernie. Speaking to the Derry News following Mr Justice Colton’s ruling, Minty Thompson said that the family welcomed the move to proceed with the inquest, adding that the soldier who killed her mother had ‘acted with impunity’. “I find it very distasteful and disrespectful to listen to criticism in the media of how ex-British soldiers are now being held accountable for their murderous actions during the Troubles,” she said. “The soldier who shot my mother dead in her own garden was not investigated at all. He acted with impunity. “Papers now disclosed to us show that he was spoken to informally for less than 15 minutes by a military policeman and that his actions that night did not prevent him from receiving five subsequent promotions until he retired from the army in 1990 as a Sergeant Major. Meanwhile, the Thompson’s family solicitor, Fearghal Shiels of Madden & Finucane said that there would be a ‘rigorous exploration’ of the circumstances surrounding Ms Thompson’s death in the fresh inquest. “This new Inquest will be very different to that which occurred in 1972,” he said. “Soldier D, the soldier responsible for shooting Kathleen did not attend to give evidence as he was not legally obliged to. “He is now however a compellable witness and will be required to attend for cross examination.